Why Pain & Suffering? Why Does God Allow Tornados? Is Religion the Cause of Human Suffering?If God Created the World, Why Didn't He Do a Better Job? Is My Suffering Always the Result of My Sin? Can I Survive Cancer ..and Chemotherapy? How Can I Live with Diabetes? Why Was My Baby Born with Defects? Does God Care About Parents with a Handicapped Child? Or Does Evil Prove God Does Not Exist? …or lastly he can and wants to. If he wants to remove evil, and cannot, he is not omnipotent. If he can, but does not want to, he is not benevolent. But if God can abolish evil and wants to, and if evil still exists, then God must not be God. How can God be benevolent and omnipotent and still allow evil to exist? In a universe of blind physical forces and genetic replication, some people are going to get hurt, and other people are going to get lucky; and you won't find any rhyme or reason to it, nor any justice. The universe we observe has precisely the properties we should expect if there is at the bottom, no design, no purpose, no evil and no good. Nothing but blind pitiless indifference. DNA neither knows nor cares. DNA just is, and we dance to its music. - Richard Dawkins, Out of Eden, page 133. Trying to deny the existence of evil does not eliminate it. It is like trying to convince a two-year-old about to get a shot that it is not going to hurt. The two-year-old knows better from experience, and trying to deny it will not make the pain go away. Most of us have had enough things happen in our lives that have convinced us, like the two year old, that evil is real. There is much that lies outside of DNA, and even DNA does not require mutations and alterations in it to make it automatically doomed to bring pain and suffering into the lives of human beings. The fact is that evil does exist. It is not a substance. You cannot take a pile of evil and measure it in any way. In fact it is not something God created. There is no passage in the Bible that says God created evil. Passages like Isaiah 45:7 were translated in the King James as "evil," but more modern translations use the more accurate rendering of the word, which is "disaster." A disaster is not intrinsically evil. The Nile River flooded every year for centuries. This was unquestionably a disaster for the people who lived in the Nile delta, but it was not evil. It made Egypt the bread basket of the ancient world as it fertilized and rejuvenated the soils of the area. Evil is not something God sat down and deliberately and maliciously created so that humans could experience pain and suffering. So if evil is not a product and creation of God, why does it exist and why does God allow it to exist? Why is evil not a proof that God is not really God but rather a creation of man. We are as much a product of blind forces as is the falling of a stone to Earth, or the ebb and flow of the tides. We have just happened, and man was made flesh by a long series of singularly beneficial accidents. Julian Huxley, The Human Degree, J.B. Lippincott Co., 1976. The atheist view of man reduces man to an insignificant dot in the grand scheme of things -- just one of an infinite number of accidents that has no purpose and no reason to exist. The views of Huxley and Dawkins and their followers demean man and offer a very negative and pessimistic view of man with no hope and no value placed on human life above that of any other life on the planet. The biblical concept of man is just the opposite. Man is presented in the Bible as something created in the image of God. Man has the life force as do other living things, but man also has a component that sets us apart from every other thing on the planet -- both living and nonliving. This component allows man to be creative, and to be able to express that creativity in art, music, and worship of God. It also is what enables man to encounter evil. Evil results from our capacity to choose to reject good. When mankind ate of the forbidden fruit, a uniqueness was activated which enabled us to make choices. The fruit was not an apple, it was "the tree of knowledge of good and evil" (Genesis 2:9). I would not be so presumptuous as to pretend I understand all that this involves. Scientists have been trying to understand the unique characteristics of humans from the time of Adam, and we still do not understand all that makes us human. The cosmos is everything that is or was or ever will be. Carl Sagan, Cosmos, Random House, New York, 1980, page 257. That view excludes anything that is not a part of the universe we observe. It limits the effect of our choices to what we observe with our senses. That is the easy way out, but there is evidence from every discipline known to man that there is more to the cosmos and to our existence than what we perceive through our senses. In the Bible there are references to things beyond what our senses perceive. Ephesians 6: 12 says it best: "For we wrestle not against flesh and blood, but against principalities, against powers, against the rulers of darkness of this world, against spiritual wickedness in high places." We do not understand all of what those entities involve, but their existence and effect upon man is undeniable. The purpose of man's existence involves the battle Ephesians 6:12 describes. 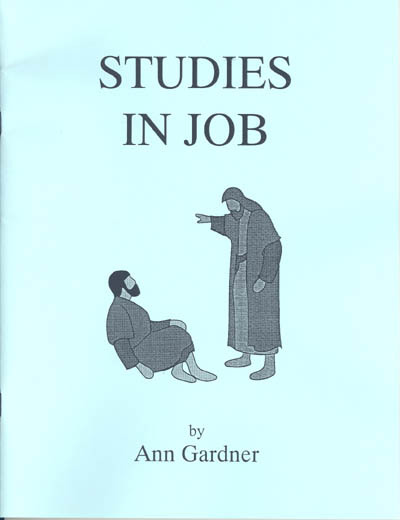 The book of Job gives us a spectator's view of man's existence and how one man's existence serves as a battle ground for the struggle between good and evil. Job was created for this purpose, and in Job 42:5 he rejoices in having come to an understanding of why he was created. This is quite a contrast to Job 3:3-11 where Job laments the fact that he was ever born. Each of us can take the name "Job" out of the book of Job and write our name in place of it. We are all Job! Virtually every science fiction story in existence focuses its message on the struggle between good and evil, and we all seem to understand and profit from such literature. Yet when we become the prime players in the same kind of struggle that science fiction describes, we seem to find the concept too hard to grasp. The atheist statement at the start of our article then radiates a failure to have any comprehension of why we exist. It is not that God is not omnipotent. It is not that He does not care. What God is focused on is His purpose in creating man. He will not compromise that purpose by interfering in the natural consequences of the choices that humans make. Sin leads to death, and God tells us that it is appointed unto man once to die (Hebrews 9:27). We are told that we will reap what we sow (Galatians 6:6-8). God can and will abolish evil. The story of the rich man and Lazarus in Luke 16 makes it clear that a "great gulf" will be placed between good and evil across which nothing can pass. The greatest act of benevolence known to man is the fact that God promises that we will eventually be in a place where "there will be no more death, neither sorrow, nor crying, neither shall there be any more pain: for the former things are passed away" (Revelation 21:4). Claiming that the existence of evil is a proof that there is no God is an unfortunate demonstration of a lack of understanding of why we are here. The ultimate beauty of the picture the Bible gives us of God and the question of evil is that when God came to the Earth in a physical form and saw how much sin pains, and what agony humans suffer because of the consequences of sin, God burst into tears (John 11:35). 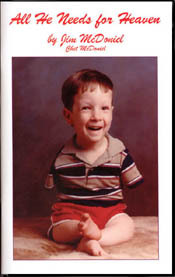 WHY WOULD A GOOD GOD ALLOW A CHILD TO BE BORN WITHOUT ARMS?